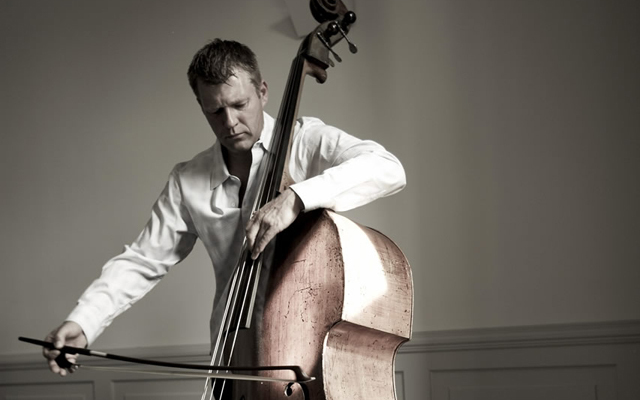 Martin Wind has, for a rather long time, been the bassist behind Matt Wilson’s ensembles, among many others, the leaders of which have seen him as their first-call bassist. But no longer. From Light Blue onwards Mr. Wind will forever be thought of as a wonderful writer of songs and as a leader in his own right. So this gorgeous evocation of music, on contrabass and acoustic bass guitar, is a real view from the inside of the bassist’s musical intellect and sublime understanding of the enormous capacity of his instrument and his ability to get the most out of it (from) complex flageolet tones to virtuoso playing con arco as well as the customary pizzicato, all of this – as Dizzy Gillespie would have it: con alma and con swing. The “bigness” of Light Blue is impossible to overstate. Mr. Wind is at the height of his powers from bar one on song one. His bass work, so articulate, so spare, so straight to the heart is ridiculously rare, so this opportunity to hear such mastery has got to be welcome. 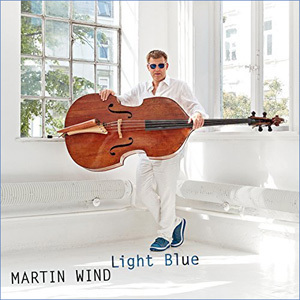 Like many of the great bassists from Arvell Shaw and Jimmy Blanton, and from Charles Mingus and Oscar Pettiford and Ray Brown and Ron Carter, from Scott LaFaro and Charlie Haden to Stanley Clarke and Christian McBride, Martin Wind is all nakedly beautiful tone and colour. He can also be meditative with long glistening runs as on “Rose” and “February”, and on the tearful-tasting colours of “Longing”, he can be rambunctious, slapping and rattling his resonant bass’ body on a broadly grinning “Ten Minute Song” and “A Genius and A Saint”, or downright mysterious as on “Seven Steps to Rio” and “De Norte a Sul”, the two songs for which he switches over to acoustic bass guitar. Most of the cuts are tight and all are five minutes or longer. The epic ones come in the second part of the album, subtitled Blue, where Mr. Wind is enhanced by the ineffably beautiful vocals of Maucha Adnet, Brasilian Musical Royalty if ever there was such a thing. That part of his album sees Mr. Wind make his greatest contribution to Jazz literature. Here his compositions are especially dramatic and enthralling in the very best tradition of The Music. His take on the Blues via “De Norte a Sul” is perhaps the finest on either “side” of the album. However, one mentions the word “best” in relation to a single song rather grudgingly. This is a uniformly superb album, made more so by the presence of heavyweights such as reeds and winds-master, Scott Robinson (whose bass saxophone turn on “Ten Minute Song” is frighteningly good), clarinet great Anat Cohen (what a delicious gamboling entry on “De Norte a Sul”), Canadian trumpeting genius Ingrid Jensen, the brilliant pianists (and organist) Gary Versace and Bill Cunliffe and two of the great percussion colourists – Matt Wilson and Duduka Da Fonseca.